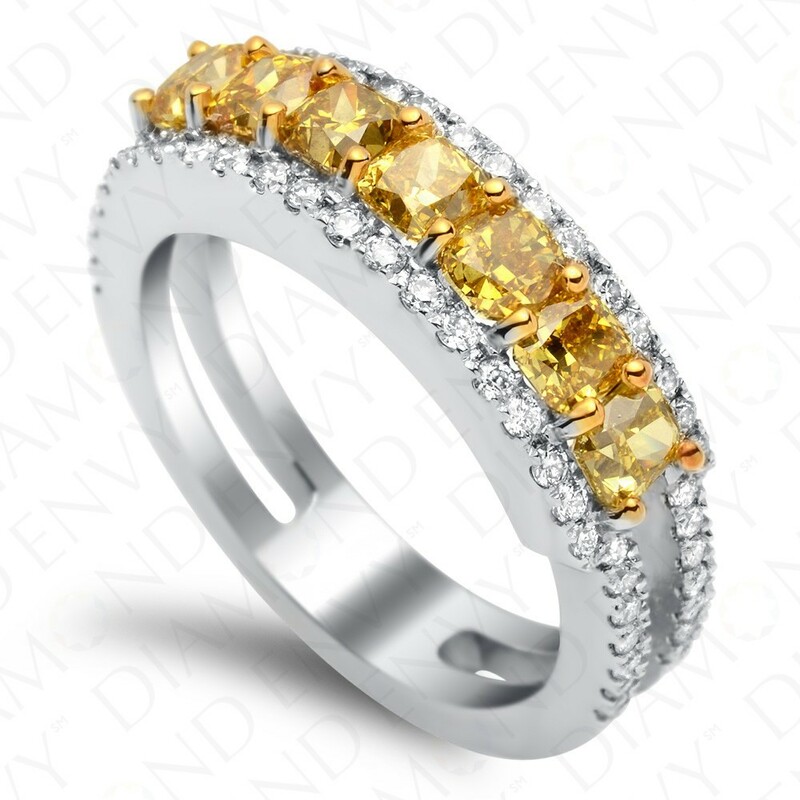 The incredible color in this fancy colored diamond ring is what comes to mind when people say “canary diamond.” Seven cushion cut Fancy Deep Yellow diamonds sparkle side by side. Two rows of pave set white diamonds totaling 0.55 carats sit above and below the row of colored diamonds and continue down the sides of your finger. Gold weight: 6.25 grams. House graded.